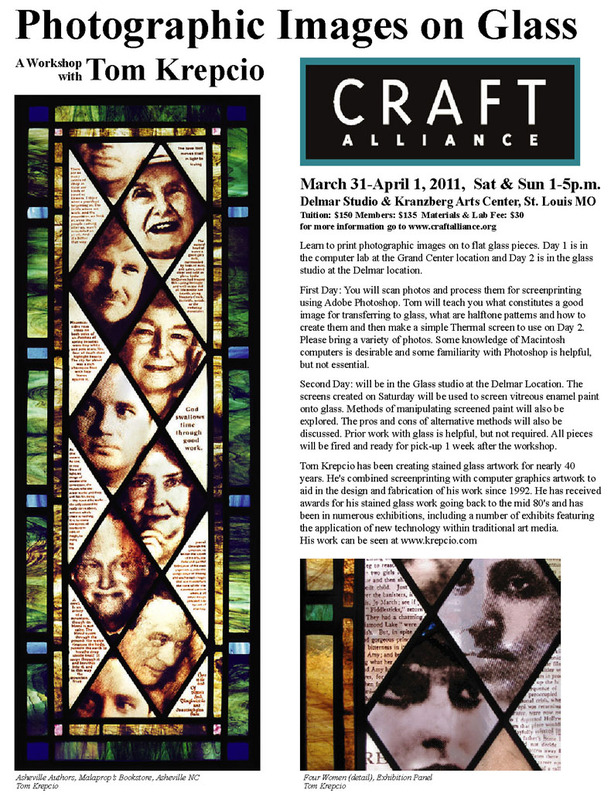 This course will introduce the student to various methods for using Adobe Illustrator to design stained glass windows. From the creation of preliminary color sketches to the specific needs of full size working drawings, we will explore and work with Adobe Illustrator to fit the needs of the contemporary stained glass designer. First, we will look at the advantages (and the pitfalls) of designing stained glass windows using computer graphic software. Then a brief discussion of the advantages of using Illustrator over CAD based programs or proprietary stained glass design programs. The bulk of the day will feature demonstrations and exercises for various methods of using Illustrator in its specifics, with an emphasis on the balance of technical precision and creativity. This will include investigating accurate and time-efficient methods for creating gothic arches and other forms common in stained glass. Finally, we will discuss the different options for printing color sketches and full size patterns. The class will consist of demonstrations and class exercises in a state of the art computer lab. Every student will have access to a computer terminal. There will be time open for questions and discussion - student participation will be encouraged. The course will be taught on Windows-based systems, but all discussion and all lessons will be fully applicable to Mac-based systems. This workshop will introduce the participant to techniques for making screens using the Xpresscreen system and for using those screens to screenprint vitreous paint on flat glass. The methods of manipulating screened paint will also be explored. The first half of the workshop will deal with making screens using the Xpresscreen method. In this method, a screen can be created directly from a black and white laser/inkjet print. The second half of the workshop will be spent using those screens to apply vitreous enamel paint on glass. Hand, brush, stick-scratching and other methods of hand manipulating the screenprinted glass will be demonstrated and tried out by participants. The class will consist of demonstrations and class exercises in the flat glass demonstration area of Third Degree Glass Factory. There will be time open for questions and discussion - student participation will be encouraged. Tools will be shared, but please bring your own brushes if you have them. All paints used in this workshop will be lead-free.